St. Gallen, Stiftsbibliothek, Cod. Sang. 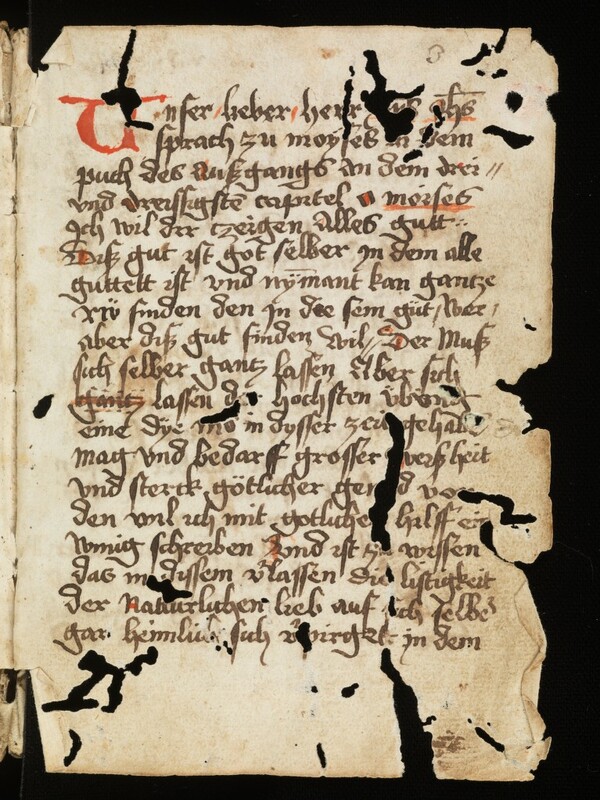 1014: Collection of theological-mystical treatises and sermons in the spirit of the Dominican mystic and preacher Johannes Tauler (https://www.e-codices.ch/en/list/one/csg/1014).